W Monks (Longridge) Limited were contracted by the church to provide a oak frame that was to be in keeping with the original church features to form a meeting room and kitchen in the rear of the church. We were given a brief and design by the client and manufactured a series of oak frame sections with arched windows and decorative pelmet that was all made off site in our joinery manufacturing workshop. 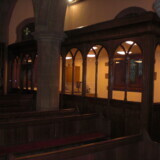 Once the frame was manufactured it was installed on site by our site joinery team and stained to match the churches original woodwork. 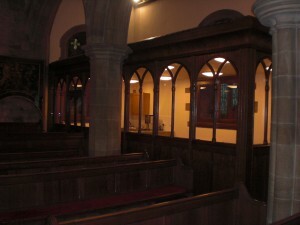 This project was completed on budget and to a strict programme due to the churches Easter schedule. W Monks (Longridge) Limited have extensive experience working on ecclesiastical projects having completed various schemes at churches throughout the North West.